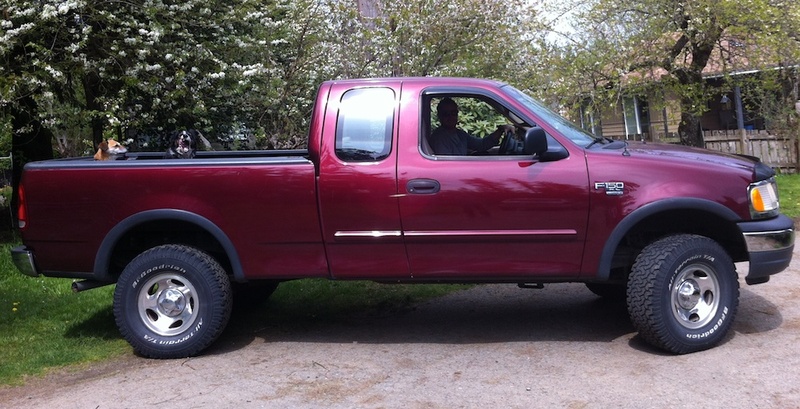 Such a pretty truck...Ryan is apparently bored in the back. So we decided to put something a little more interesting in (on) the truck. Just kidding! That isn't Nathan's truck...but that is the truck we saw when we pulled up to do our little Tilapia deal today (from the guy who had advertised the fish in the classifieds a few weeks ago). When we pulled up to the interesting property I was just about ready to jump back in the car and drive away, but the guy turned out to be really nice and he had a pretty cool tank/grow bed set up. We ended up with 58 (if we counted right) Tilapia fingerlings (1-3" long). 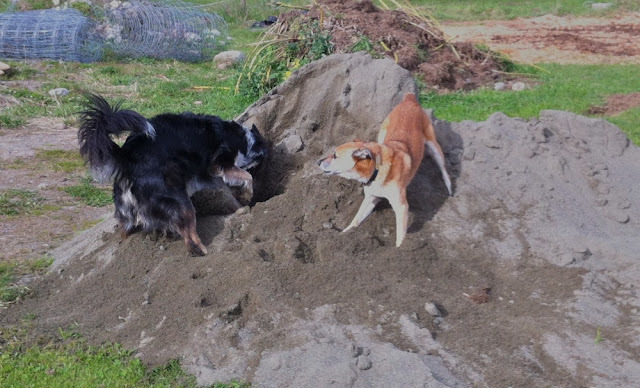 The dogs don't really care - they would rather play in the sand pile. Woolly Bully doesn't care either. He just wants to ram in the mulch pile. He got out through an open gate the other day and dove head first into the mulch. He's pretty nervous so he ran back in when Nathan walked towards him. 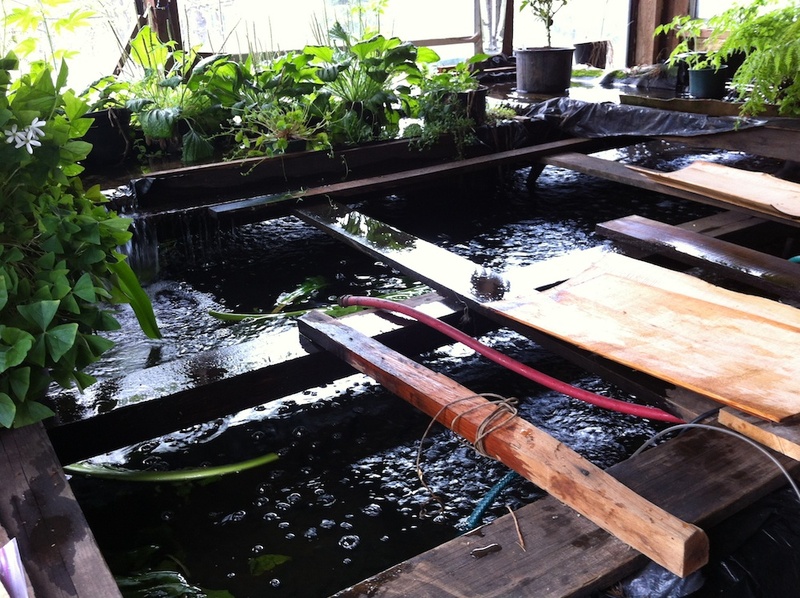 We forgot the camera with the fish pictures in the greenhouse. I'll put them on tomorrow! I saw the pictures before I read the text and you had me fooled. 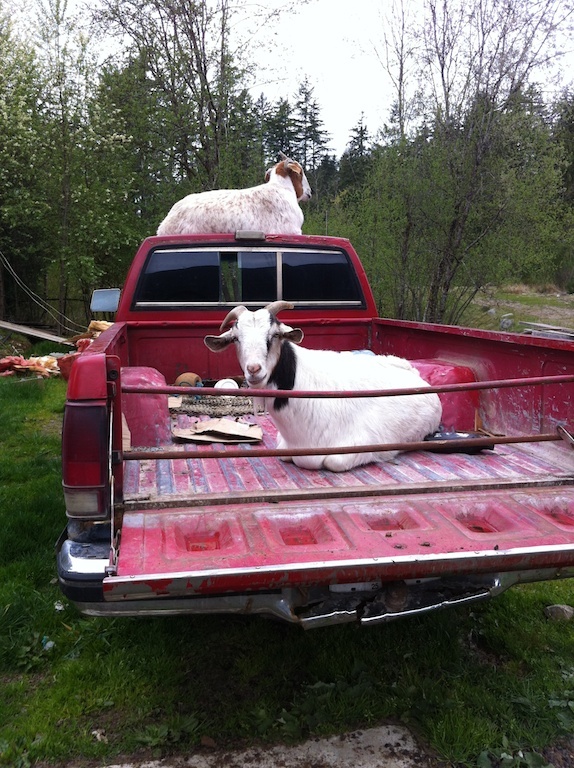 I thought you had gotten 2 goats!